Investing.com – The dollar was down slightly but remained near a 10-week high on Friday as investors waited for quarterly economic data. The , which measures the greenback’s strength against a basket of six major currencies, inched down 0.06% 96.40 by 4:55 AM ET (8:55 GMT). Investors are waiting for third quarter U.S. data at 8:30 AM ET (12:30 GMT) to see if the economy has progressed enough for the Federal Reserve to continue raising rates. A strong reading could cause the greenback to strengthen even more. The U.S. economy is expected to have grown 3.3% the third quarter, compared to 4.2% in the second quarter. 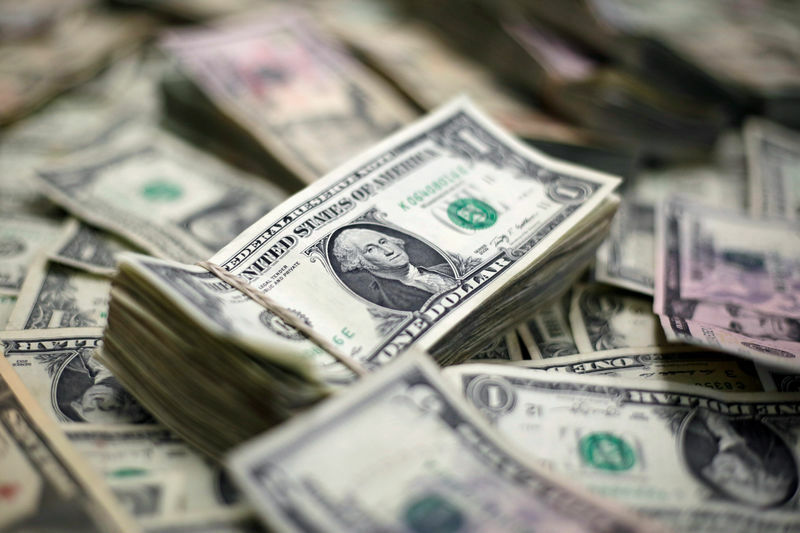 The dollar fell against the Japanese yen, with slipping 0.37% to 111.99. The Canadian dollar was lower, with up 0.51% to 1.3140. Meanwhile the euro remained under pressure after European Central Bank President Mario Draghi indicated the central bank could extend its asset purchase program. He said Thursday at the post-decision press conference that accommodation remained necessary. The central bank made no changes to its monetary policy, as expected. inched down 0.02% to 1.1371, its lowest level in nearly two months. Sterling was flat, with falling 0.01% near a two-month low of 1.2816. Elsewhere the Australian dollar was lower, with down 0.69% to 0.7029 and decreasing 0.92% to 0.6468.